Very happy with our van and the service we received. 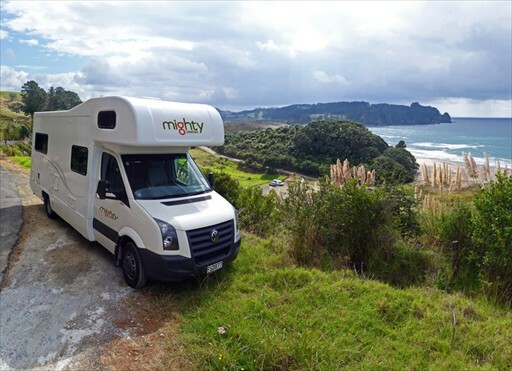 The parent company of Mighty, Britz, and Maui - THL - have started introducing a summer peak program where they rent newly built campers for the period rather than buying them. This has already started in Australia and should happen in New Zealand soon. In the meantime, you will just have to deal with 1740! vehicles they already have floating around the land of the long white cloud. 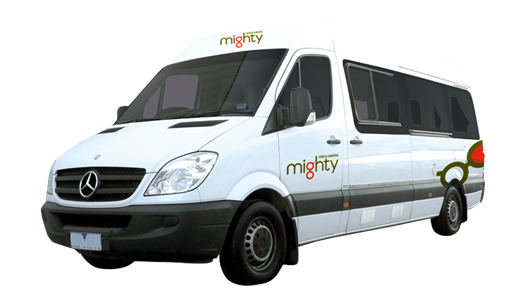 You should know that when you deal with Mighty you are dealing with a huge corporation not a mum and dad show or even a small team. 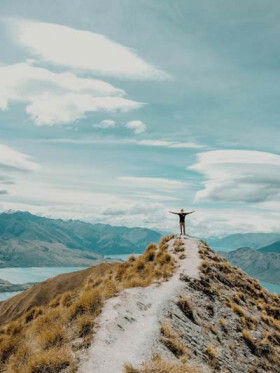 Revenue for Financial Year 2016 in NZ alone was NZD$68m and for the whole company across all its operations, it was NZD$279m. 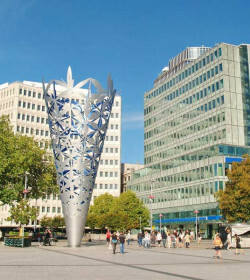 THL is listed on the NZ stock exchange. Mighty tout 'cheap camper rental' as many places as they can. 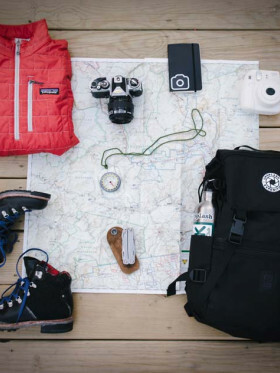 They want to offer as many options as possible so that you are comfortable in knowing that they will be able to accommodate you no matter what you are looking for. 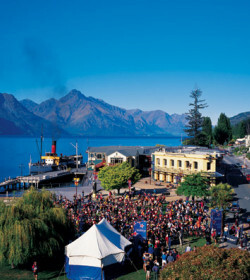 They have small and compact and large and homely units— most come with toilet and showers. 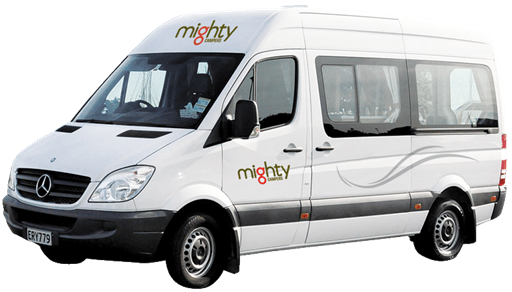 Unlike so many other campervan hire companies, Mighty has not branched into crappy car rental - they are wholly campervan and motorhome. As mentioned they have small 2 berth up to 6 berth motorhomes. Unfortunately, no 4wd campers. Vehicle age is generally getting on a bit as they are the hand-me-downs from Britz mostly, but not always. There is at least one design in here, the Jackpot, that is not in the Britz fleet, but more often than not expect the vehicle to be 3 to 6 years old. If you want lots of room and some luxuries like toilet and shower then you have to move up to the Deuce. Based on the Mercedes model, this thing is a screaming top end with a whopping 80 ltr fridge, 120ltr water tank, and automatic transmission. 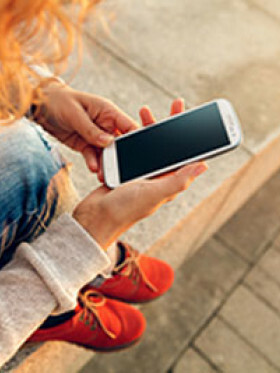 Some of the luxuries only work when connected to mains power – like A/C whilst stopped and microwave oven. Now don’t be too fooled by the shower and toilet concept, whilst they exist on board, having showers every day will mean stopping and filling the water tank every day. 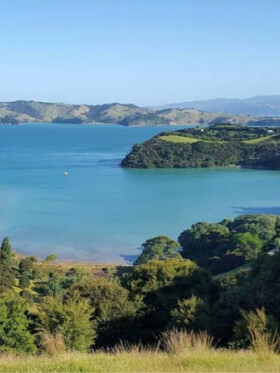 If you are going to far-flung parts of New Zealand, then this is not always available (especially snot freely) and emptying a toilet cassette can be quite off-putting if you haven’t done it before. Also, you may have to be in a caravan park to empty the cassette, defeating the purpose of free camping in the first place. 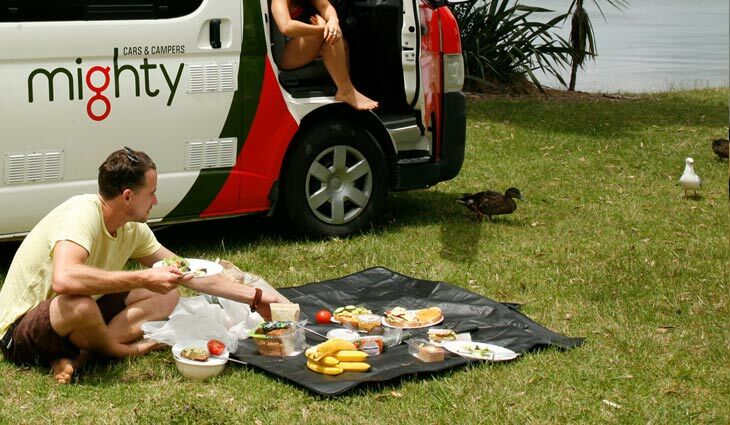 An upgraded Deuce, the Deuce Plus is the largest of the 2 person vehicle, well, it's technically a 2+1 campervan recommended for small starting families. Not only that, it's quite new—campers are built on a 2014- 2016 model. 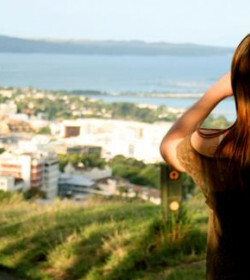 If you're travelling in two but would like to spread out on holiday, then this is for you. Aside from the convertible rear lounge that becomes a spacious double bed, the seating area at the front area transforms into an extra bed for your child. Plus, you'll get the comfort of the bathroom with shower and toilet, as well as the large kitchen. Highball is something a little different. Based on a 2008- 2010 Toyota Hiace, it holds 3 people and has a layout that is different from any other. It has seats along the rear door which is quite rare, and then L-shapes along one side wall. This allows for a large table to fold down from the other side wall and then the rest of the wall folds down to form the downstairs bed. The bed for the 3rd person is a "hammock" that hangs above the main bed. This is a wonderful design making for storage along both sides and the rear of the camper, an easy-to-make bed and a table that is very easy access. It also has a fridge which is not really standard for a campervan this size. This is the smaller of the Mighty Campers 4-berth options. Built on a long wheelbase Toyota Hiace it has the essential hi-top roof. This allows for fully upright standing but is also where passengers 3 and 4 sleep. 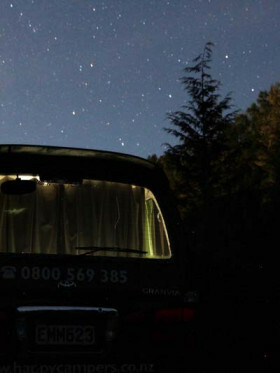 If you are travelling with kids, then this campervan could be for you. This model can take 2 child seats for under 3yo and also 2 booster seats for 3-7yo. The kids or passengers 3 and 4 are strapped into the forward facing seat along the rear of the camper. Whilst driving the travel noise will make it difficult to communicate from front to back but on the bright side, it if is just bickering kids back there, it could be a major benefit. 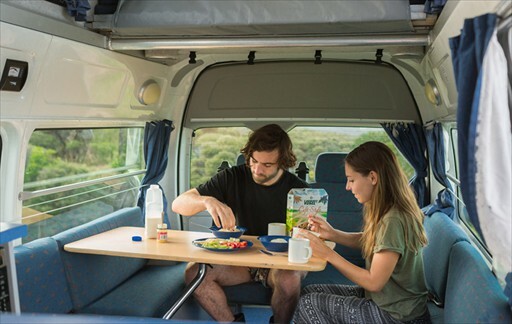 The campervan internal design is pretty standard and other companies will be running this kind of model if you want to shop around. The kitchen area is directly behind the driver's cabin. 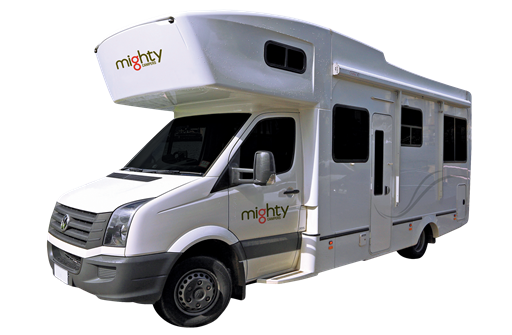 This the smaller of the motorhome models for Mighty Campers, but is the largest of the two 4-berth options. It is the first vehicle of Mighty that is certified as 'self-contained' by the New Zealand motorhome rules. Being a motorhome you are moving into a camper with more room to move around inside and walk through capability from the front. It is standard for any motorhome to come with a microwave, fridge, main cabin air-con, toilet, shower, and grey water tank and this model is no exception. There's one bed permanently set up above the driver cabin and the other is converted from the rear dining area - also a very standard setup. 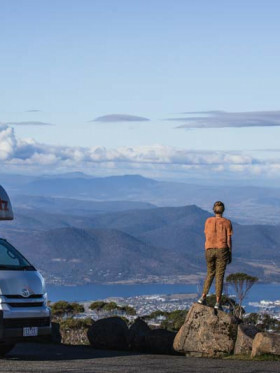 This model is great for a family or a bunch of mates travelling together but remember the motorhome could be up to 6 years old so don't expect everything to be totally schmick and you won't be disappointed. 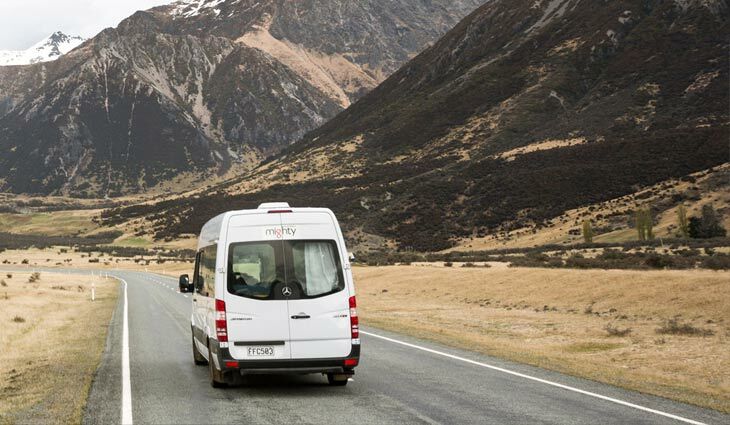 The Big 6 is the biggest motorhome in the Mighty range and is also certified 'self-contained'. 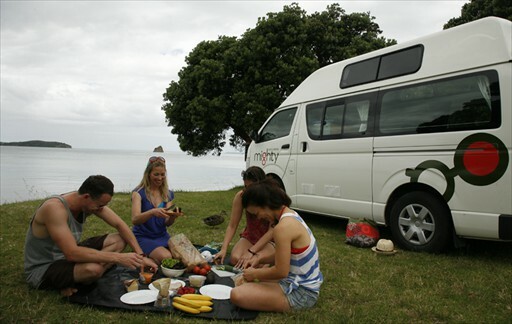 Again, a standard kind of configuration and many 6 berth motorhomes have in New Zealand, it has a permanent bed above the driver cabin and the 2 table seating areas ( in the middle and rear) convert to beds. Naturally shower, toilet, microwave, air-con included and Mighty throw in bedding and linen, which is not always the case with its competitors. This is a fully enclosed vehicle so there is a grey water tank as well as the cassette for the toilet to be considered. There's everything you want and need in this motorhome, it's an apartment on wheels, the only problem is parking a 7m long vehicle and I think the rear undercarriage storage is a little small. Availing the Inclusive Pack at $39/ day for Highball and Double Down and $49/ day for Deuce, Double Up and Big Six reduces the liability from $3, 500/ $5, 00 to $0. 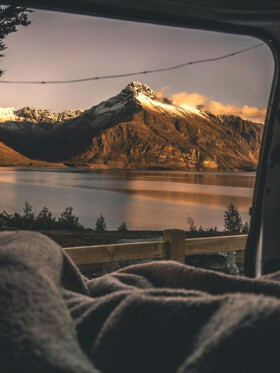 Also, this option already includes damage from a single vehicle roll-over, linen exchange service, 1 GB WiFi (per hire), camping table & chairs, extra driver fees, as well as child/ booster seat, portable fan heater, and snow chains, upon request. There are a plethora of companies offering very similar models so if you are looking at this model you should shop around, but this is where things that Mighty Campers do that the others don't could kick in— things like the depots all over the country, a lot of vehicles in the fleet and competitive pricing as well as good opening hours in most cities and the online pre-check in. As with all Mighty Campers vehicles, expect it to be between 3 and 6 years old that will, in turn, mean some wear and tear, so don't expect perfection all round and you won't be disappointed. 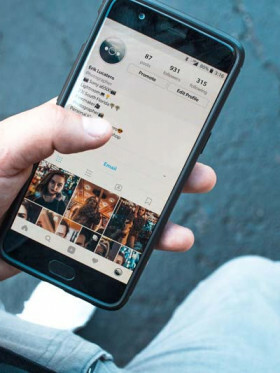 Also, they are quite keen on trying to get you involved in as many online social ways as possible and are spending considerable time and effort to do so. All in all, they are looking for a younger crowd who are not just in it for a campervan hire but a whole social experience online and off. 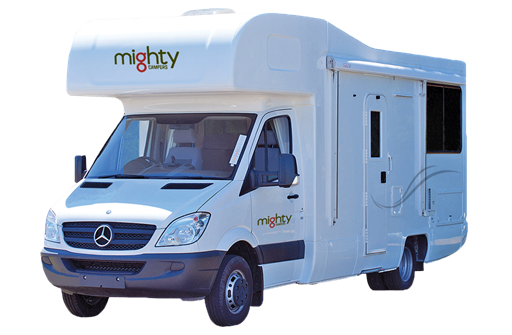 Overall, Mighty Campers is well suited to those who want a nice vehicle that is well designed but is happy to put up with things not being 100% perfect with the vehicle in order to save some money. Really the only thing that sets is apart from its family members of Britz and Maui is that this is where all their campers go when they start to get tired. 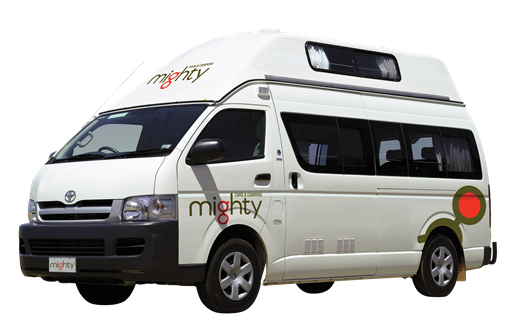 Mighty is a large company with plenty of vehicles so the other advantage with Mighty Campers is their availability, however, in peak periods, even these guys can book out, so don't wait too long to book one. A mess from start to finish. We arrived having completed all the online check-in information, including our request for child-seats. I even called two days before and they confirmed the child seats were requested on our booking and would be in the camper when we arrived. So when we get shown our camper and there's no seats, I ask where they are, and the girl just turned and walked off saying, and I quote, she "doesn't want to talk to sh!tty people like you". (even this review site won't let me type in the words she actually used. I have no idea why she reacted like this, but maybe she's in the wrong industry. The guy who then took her place (I think his name was Kevin?) was very good. The camper itself was in fairly poor condition, but was functional and clean. The sat-nav hadn't been updated in seemingly a very long time and so didn't show the local routes around the hire-centre correctly which is a problem because the local main road has changed very significantly. Also, the sat-nav wouldn't hold more than 12% charge which didn't last long...a problem because this is where the wifi comes from...so for us to use the wifi we needed the engine running. The vehicle battery (not the home batter) was goosed and went flat on us twice (and no, this wasn't because we left lights on or anything like that) which necessitated me sourcing help to start the vehicle. The pick-up and drop off process was slow, and the staff generally just look uninterested and slow in everything they do. The step didn't function - it is electronically activated and without it you're left with a very large step-up into the vehicle...too large for my 2 year old daughter to cope with, and at one point she slipped down it and injured her back. Overall a very disappointing experience, and I'm still staggered at being called a sh!tty person for seemingly no reason. Pretty disgraceful.